JACKSON, Miss. — The Mississippi Senate voted on Wednesday to defund the abortion giant Planned Parenthood by preventing the organization from participating in its Medicaid program. There is only one Planned Parenthood location in Mississippi, and it does not perform abortions, but the majority of Senators agreed with Fillingane that the state should not be affiliated with the organization. The Hattieburg location had been receiving occasional reimbursement for birth control. “You are the company you keep, and by Mississippi reimbursing Planned Parenthood through Medicaid, we are keeping that company,” Senate Medicaid Committee Chairman Brice Wiggins, R-Pascagoula, told reporters. Fillingane said that Planned Parenthood provides referrals to the Jackson abortion facility and others out of state, and so he believes it is all the same in aiding an organization that helps women obtain abortions. He said that there are a number of entities in the state that provide women’s health services that aren’t involved with abortion. 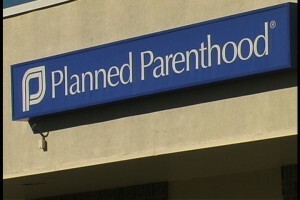 “There are many other non-Planned Parenthood clinics and agencies that can provide these other services that the critics want to talk about,” Fillingane said. Lt. Gov. Tate Reeves issued a press release about the vote, expressing his approval of the move. “I am committed to making Mississippi the safest place in America for an unborn child,” Reeves declared. As previously reported, Planned Parenthood was founded in 1921 by Sanger, and was originally known as the American Birth Control League. She later changed the name as some found it offensive.